In my non-humble opinion, this is the best wiki out there. It produces beautiful documents. It is a pure joy to use and combines the best experience from all other libre open source wiki's I have used. Mind you, I also like Mediawiki and Dokuwiki - but they do not come close to BookStack. It is light on resources and requires minimal configuration, an SQLITE db is supported. It would not be difficult to "port" to Cloudron. Therefore I would like to propose the inclusion of BookStack. Please consider it! 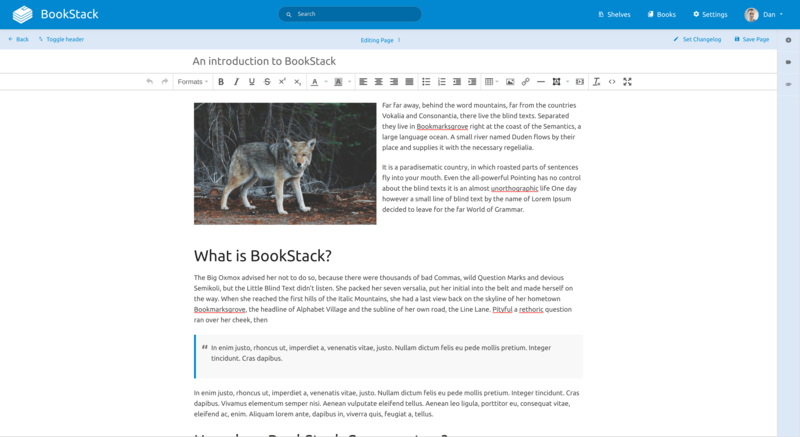 This would be great -- been looking for a personal knowledge management tool and team wiki, and this looks like it could do both. 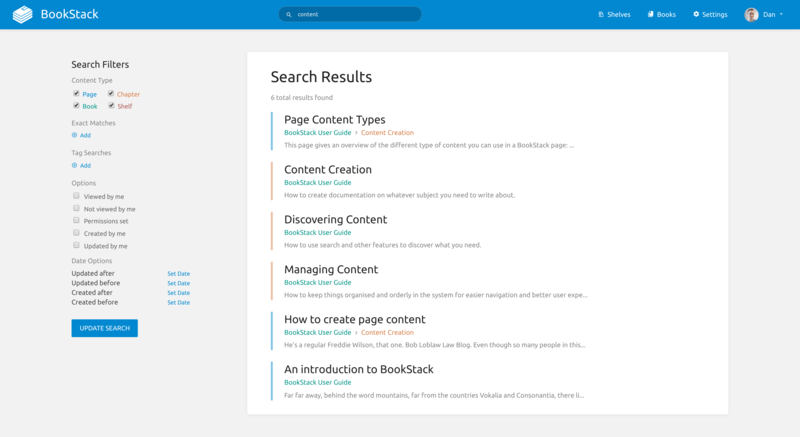 I would love to see Bookstack on Cloudron. Instant install. I think this would be a great addition for the Cloudron platform. As an alternative, which we evaluated, I proposed Wiki.js in another thread. 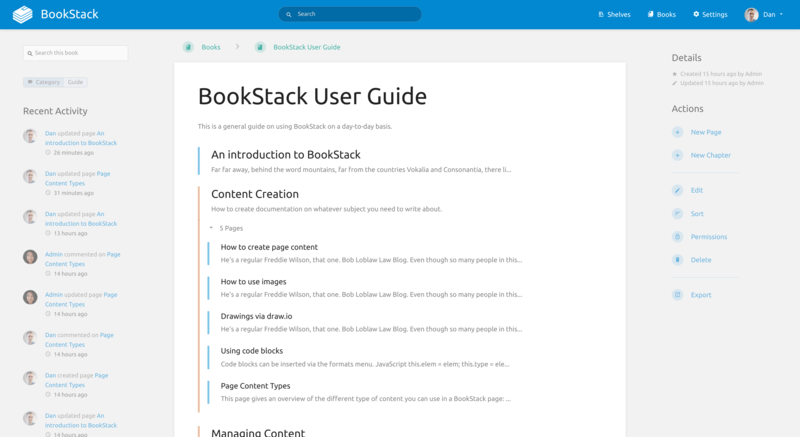 Just stumbled onto BookStack and it looks like it'd be a great wiki. I'd much prefer this over dealing with Dokuwiki. @nebulon or @girish is there someone who is best able to help out with specific issues like this (the ldap functionality of a package, e.g.)? OK, I have the LDAP working but there is a bug where the port number is not parsed correctly. Still debugging. @msbt I forked the project to https://git.cloudron.io/cloudron/bookstack-app and given you permissions. Thanks! ah that's why, thanks @girish! I haven't opened a ticket yet, maybe they need to fix something on their side. I'll do some more finetuning on the app when I get the chance, we could also use redis and some other features which aren't implemented yet. the redis password option just got added to the repo, I'll push the changes when a new release is out.